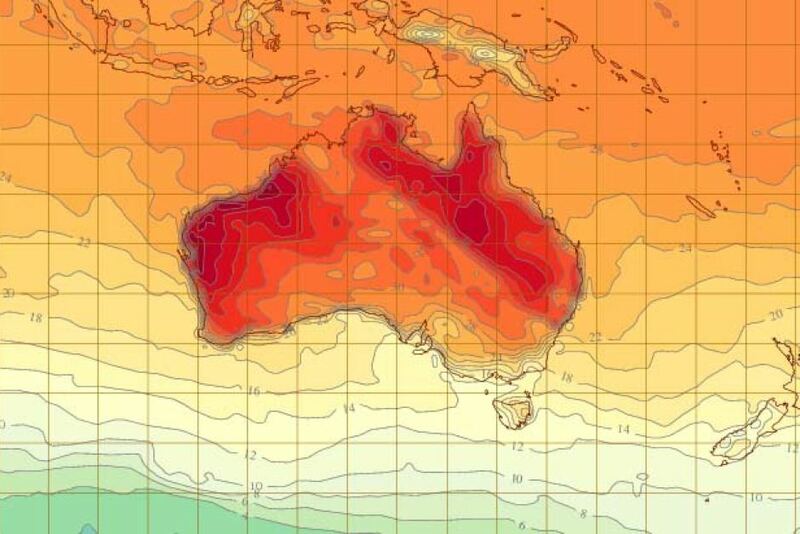 Australia is now suffering one of the worst heat waves in history. Yes, it’s summer there. And it’s tremendously hot. But you’d never know that from climate changes deniers here in the northern part of the globe, who apparently think that the entire planet is experiencing the record cold and snow we’re getting. “Can’t be global warming with all this snow!” say people who have no background whatsoever in climatology. This is exactly what climate change scientists predicted years ago, though. An increase in temperature on the planet leads to extreme weather of all kinds. Among those who study climate, this is no surprise whatsoever. Most of the people who object to climate change are doing so for political reasons anyway. They don’t like Al Gore so therefore they have to object to science. I mean, you never hear of these people objecting to the theory of gravity or arguing that math isn’t real. They’re like creationists who object to evolution because it violates their pre-conceived notions. I’m still waiting for someone to explain to me why the vast majority of scientists from around the world would become part of a grand conspiracy, working together in secret, to promote a scientific theory which would give them absolutely no benefit whatsoever. It’s certainly much more believable that the small percentage of scientists who get grants from major oil companies to “prove” that climate change is not real are part of a conspiracy, isn’t it? After all, they profit from such a conclusion. It’s like the deniers are expecting all the climatologists to suddenly say, with an evil laugh, “Now that you agree there is climate change, you are under our control! Muahahahaha!” and then demand nothing because it’s not like they can solve it.